No more stuffing beer faucets with rolled napkins or covering them with annoying strips of cellophane. 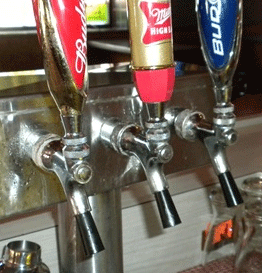 Now there is an inexpensive way to control the ever-growing problem of fruit flies in and around draft beer faucets. Simply insert the 1" polyurethane Bug Blocker over the beer faucet when the tap is not in use to control yeast and bacteria build-up as well as fruit fly reproduction. The Bug Blocker will fit both domestic and European style beer faucets. Don't forget to check out our Posi-Pour portion liquor spouts with Fliptops and Screened Free Pour liquor pourers designed to prevent liquor bottle insect infestation.